It almost slipped past my Radar Screen yesterday. Needless to say, as a Founding Father of KMSA, that would have been sacrilegious! According to our official Feast Day Calendar, yesterday, August 2 was Need A Feast Day. August is the only month that didn't have a natural Feast Day, so the Founding Father's, in their infinite wisdom, deemed August 2nd as Need A Feast Day. If you've forgotten, our official Feast Day Calendar can be viewed towards the bottom of the blog. Keeping with my spirit of "Good Health", I decided to combine Need a Feast Day with Irish Yoga! I found the affect to be both stimulating and intoxicating. Of course, my chosen drink of the evening wasn't Irish, though the Irish where present, but rather that "odd" gin of the Scot's, Hendrick's! As you can see, Irish Yoga is not for the faint of heart! That's why I'm glad that I had new blood vessels inserted into mine 6 years ago! Now I have the body of a 51 year old, but the heart of an 18 year old. Bring on the Feast Days! That's why I need Irish Yoga, to flex my middle aged body as I participate in the celebration of life in my own special way. I have been thinking about how we can "Unify" our brothers and sisters in a more unique way. Since geography separates a good majority of us, I would propose that we should pick one day a month to indulge in a world wide celebration of Knights of Moleskine, Spirit and Ale. If you will, a sort of group reunion. 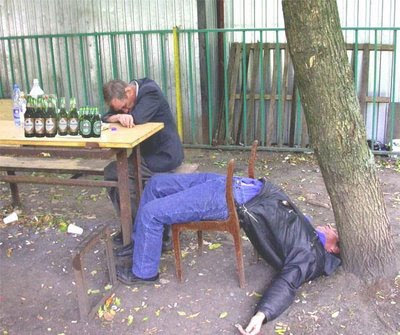 Then the following day we can all post the results of our party. It can be a time to celebrate globally, recruit new members and enjoy the company of those within your own region. Sir Bowie proposed in an earlier post to go and enjoy the rich tradition of our local taverns here in the Evansville area. That should be our version in this part of the world. There are some very interesting stories waiting to be told. Think about it and tell me what you think. 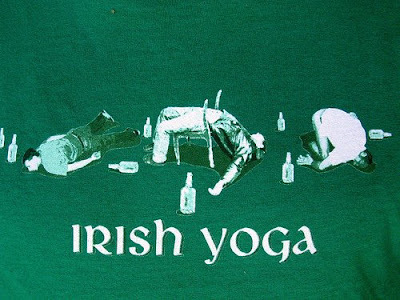 Yes, I agree -- though in moderation, not to the point of doing Irish Yoga.